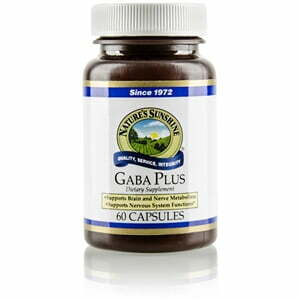 Nature’s Sunshine GABA Plus promotes healthy brain activity. Gamma-aminobutyric acid or GABA, an amino acid, supports neurotransmitter activity as well as brain activity. 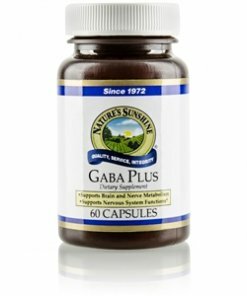 GABA Plus contains two other brain supporting amino acids, glutamine and taurine as well as spirulina and passionflower, two herbs that are rich in nutrients and provide health benefits of their own. Instructions: Take one or two capsules with a meal twice daily. Drink one glass (8 oz) of Nature’s Spring water with the capsules.